Hi there. This is part 2 of setting up your DIY settings. In this video, I’ll be showing you how to set up your pricing page. Now before we get into the rest of the video, please make sure you’ve already seen our video on DIY, which is the 10th video in the White Label Tutorial series. It’ll go over the basics of the DIY settings, including how to create plan configurations which is a crucial part to this video. Also make sure you’ve seen Part 1 of the DIY Settings videos, on Setting Up Payment (Recurly). We want you to have the most customizable white label experience as possible. One of the ways we do this is by giving you a choice between having your own pricing page or using our built-in one. If your business already has a check-out page with your other services, you can use this option to keep everything in the same place. You have full control over the branding and process. However, if you go with your own pricing page, you will still have to essentially go through the same steps that it takes to use our pricing page anyway. 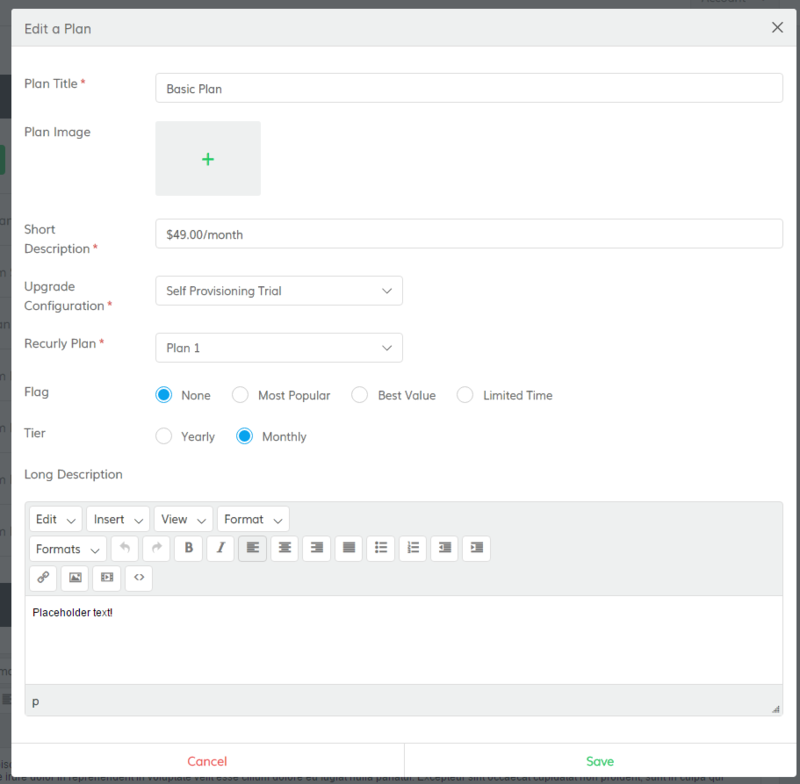 With our built-in pricing page, once you create all of the pricing plans then you won’t have to code a separate page — it’ll already be created for you. 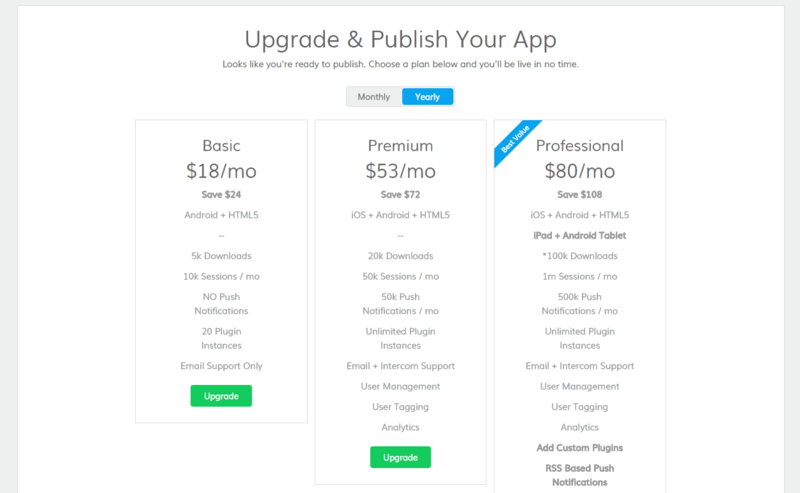 There’s one more reason why going with our pricing page is more powerful. Let me show you. To get to the pricing page, your customer will have to click on Upgrade in the upper right hand corner of their control panel. This is what the next page will look like. You’ll see that there will be a Monthly and Yearly option at the top, followed by the pricing plans below. The page will include the Plan Title, Short Description, Long Description, and some Static Information at the bottom. When your customer selects whichever plan they’d like to upgrade to, you’ll be taken to this sleek and user-friendly payment page where your customer can easily input their credit card information. Once they input this info, they’ll click Upgrade Now and be taken straight back to their control panel. The difference with this experience is that the branding and messaging is consistent throughout. When they click on Upgrade, they won’t be taken into a Paypal page or a random external website, as the case would be if you use your own pricing page. Being taken out of the system might make some users feel uncomfortable when inputting their payment information. If you use our built-in pricing page, you eliminate this sense of discomfort and make for a better, smoother customer experience as a whole. Now that you have a better idea of how the Pricing Page works, I’ll take you through the steps of how to put it together. In this top section, go ahead and let the system know if you’d like to use the built-in pricing page or your own, as well as if you’d like to use Recurly. To learn more about Recurly, feel free to check out our video on it up here. Plan Configuration is where we can start creating your pricing plans. We recommend you consider using pricing tiers in your business. This is basically the act of splitting up your business into different categories at different prices. You can charge them a cheaper subscription rate for signing up for a longer duration, for example. Other methods you can use is by withholding certain features or services for higher priced packages. Maybe only certain packages include all of the plugins as well as extra marketing services. For example, the lowest tier could include just a barebones app while the highest gives your customer access to all the plugins as well as a website and a phone consultation with you. You can also differentiate your pricing tier by mobile platform. Under configurations, you can decide whether it’s available on android, ios, html, or all of the above. You can use this feature to differentiate your pricing tiers as well. As for the prices themselves — that’s all up to you and your target audience. A good place to start would be to look at what your competitors are charging and keep your prices in that range. To create a new plan configuration, click Add New Plan. Input the name of your plan under Plan Title. This could be Gold, Platinum, Basic for example. Plan Image is optional and is there if you’d like to upload an image to go along with your plan. Short Description will be some small bolded text that goes right underneath the Plan Title and/or Image. Use this space to emphasize an aspect of your pricing plan. Upgrade Configuration is where you select the configuration you’d like this pricing plan to refer to. For more information on app configurations, check out our video on it here. Purchase URL, Webhook URL, and Redirect URL will only show up if you will not be using Recurly. If you are using Recurly, ignore this next part. In the Purchase URL, please paste in the link to the external checkout option for this specific payment plan. Webhook URL is the recommended way for upgrading an app from a third party authority. Most third party payment sites will accept a webhook URL, which essentially tells the site to send your customer back to their control panel with an upgrade app after the payment is completed. The Redirect URL is there just in case the website doesn’t use Webhook URLs, but it essentially does the same thing. Flag basically controls this cute little overlay here. We give you three options for what it could say: Most Popular, Best Value, and Limited Time. Use this if you’d like to direct attention to any pricing plan in particular. Tier lets you organize by Yearly and Monthly. It’ll show up on your pricing page as so. Long Description is where you can put more information on the pricing plans. For example, you can list out the plan features, how many plugins are included, which platforms this plan encompasses, and so on and so forth. After you’re done, click save. Now go ahead and create the rest of your plans. This Static information section basically refers to any additional information you’d like to cover that hasn’t been mentioned already. This will show up at the bottom of the screen. On our platform, we use this section for any footnote-like information. When you’re done filling this out, click save. That’s pretty much everything you need to know about the Pricing Page! If you have any further questions, feel free to reach out to us at wlsupport@buildfire.com. Thanks for watching, and I’ll see you next time!